This work addresses men, intergenerational transmission and social change, within the context of the change in the theorising and politicising of gender relations in the Nordic countries from the 1950s onwards. 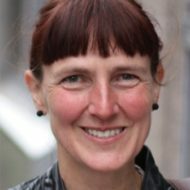 It adds to the thriving field of qualitative approaches to studying social change, among them intergenerational and longitudinal qualitative research designs, and is part of a more general turn towards temporal and spatial dimensions in social research including studies of men and masculinities. It is also part of the recent developments in historicising research and researchers. It draws on a study of two generations of men, where the fathers participated in an experimental research project in Norway in the 1970s: the Work-Sharing Couples Project, led by the sociologist Erik Grønseth, a pioneer in Norwegian family research and studies on men. The project aimed at promoting egalitarian family relations through a spousal work-sharing ar- rangement that involved both spouses working part-time and parental shifts in the home. In a follow-up study thirty years later, the original participants and a sample of their adult children were interviewed. In the follow-up study, the men were found to have played a key role in initiating the untraditional arrangement in their families. The sons were, however, found to be living in neo-traditional work–family adaptations. This dissertation aims to explain both the fathers’ untraditional work–family adaptations in the 1970s and the neo-traditional adaptations of the sons thirty years later, and, subsequently, the lack of intergenerational transmission of the untraditional work–family adaptation, through developing a multidimensional analysis of situated agency. Bjørnholt, Margunn (2014). Modern Men: A Norwegian 30-Year Longitudinal Study of Intergenerational Transmission and Social Change. Örebro Studies in Gender Research, 3. Örebro: Örebro University. ISBN 91-7529-027-0. This work is based on ten journal articles and book chapters published between 2009 and 2014, and includes five of them in their entirety. In addition, a shorter version of the main part (summary) of this work was published as an article in The Sociological Review. See the list of publications.